Day-by-Day Updates Can be Found at the Bottom of the Page. Time marches on. As the years passed, it became increasingly clear that it was time for Glissando to spend at least part of a winter inside the shop, one way or another; she hadn't been indoors since 2003, other than a brief varnishing session in the spring of 2008. 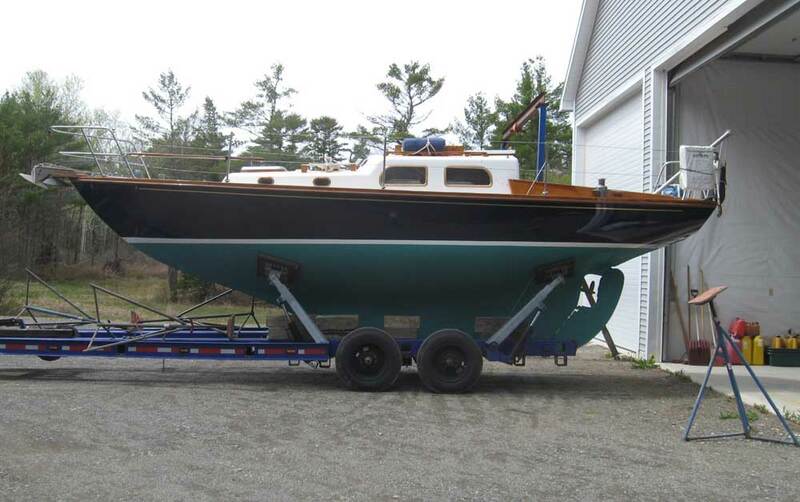 After 7 seasons' use, plus one season--2006--where she wasn't in the water (a horribly neglected year in her history), I felt that it was time to address a few things in order to keep her in top condition. The need for maintenance never stops--and that includes periodic sessions of more intensive work. 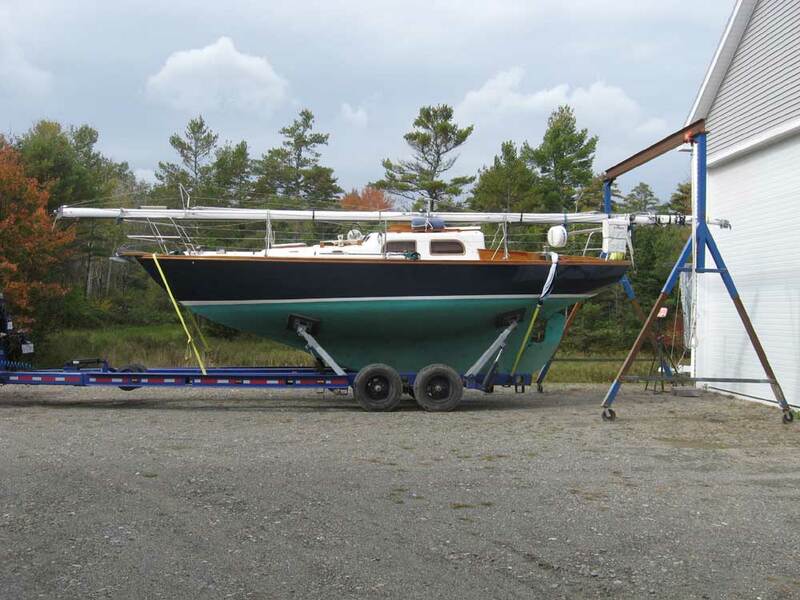 The work began, I suppose, with the fall haulout on September 30, 2008; shortly thereafter, I put the boat inside the "spare" bay in my shop, where she spent the winter. Calling this a "refit" was a bit of a misnomer, as I hardly revamped the entire boat by any stretch. But semantics aside, for lack of a better general term I have deemed this to be the Winter 2008-2009 refit, with plenty of the usual general maintenance thrown in. The project ended in early May 2009, though throughout May I continued with the basic and normal pre-launch preparations and general maintenance, some of which I have included in these logs. Here is a partial list of things I set down as things I wanted to address during this period of work. Over the course of the winter, I made a few modifications to the list, as noted below, but remained true to the original list with few deviations. Links to day-by-day updates are just below this list: click here. Decided to leave it alone; it works, and my moorage is much safer now than it used to be. Next year; this job will also require reconfiguration of the headstay and halyard attachment points to be worthwhile. I have a new tube to replace the solid, drilled, turned, and modified replacement that Journey's End made up after they trashed the rigging last spring. Underway throughout the winter, including engine maintenance, minor repairs and changes, cleaning, etc. To continue with the refit, click here to begin a day-by-day log of the activities. Or, click on any day listed below to go directly to that page.